New England cuisine is synonymous with great seafood. Nearly four centuries of maritime tradition has created plenty of pride (and chowder). Most quintessential New England seafood dishes originate purely out of being economical, which happen to be the most delicious (think fish frys, clambakes, and lobster rolls). Consider fish cakes, mixed with breadcrumbs and egg for more substance, are a comfort food that has connected generations to become less of an economic staple and more of a New England delicacy today. During the colonization of America, the British brought countless culinary and social traditions (and taxes). Such traditions were given a Yankee spin, creating a coffee-sipping, fish-fry-eating region, and for a limited time, Tea-flavored fish from the Boston Harbor. [Most] of these Yank-founded customs are still enjoyed today. Due to the large Catholic population in the Northeast and the abundant supply of fresh seafood, fish and mollusks quickly became Lent-approved favorites in the early 20th century. Since then, New England has become a tourist destination for historical sites, idyllic beaches and, most importantly, legendary clam shacks. New England is rich in culinary history that showed how local resources, Yankee rebellion, and Lenten tradition gave us classic dishes worth celebrating and reinventing. Home Chef’s version of classic New England Fish Cakes will take you to the Northeast seaside (with a side of lemon). 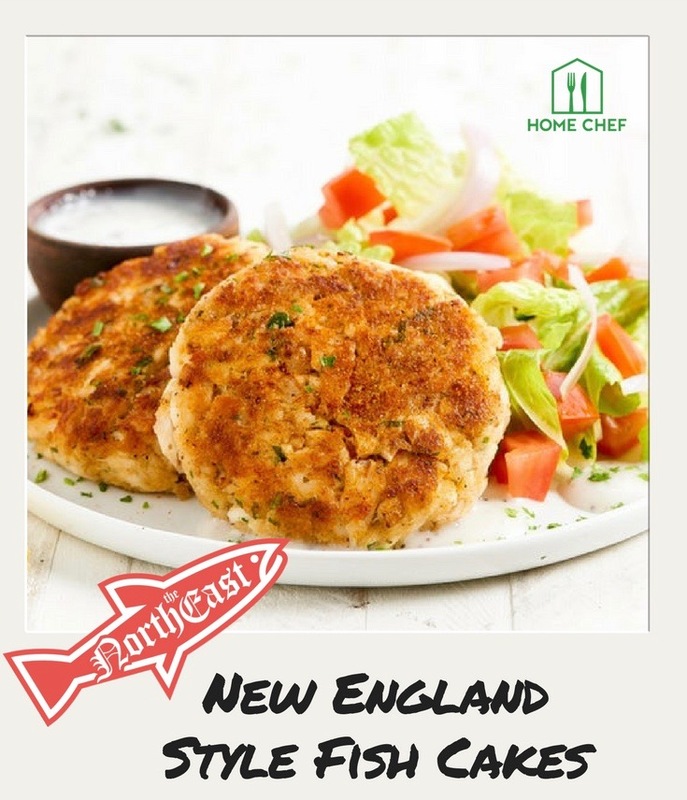 You can make New England Style Fish Cakes at home! Check out the recipe here.